Well after all the success and making so many new friends from Lac Des Lesmont, we felt it was only right to carry on and search for another outstanding lake!! 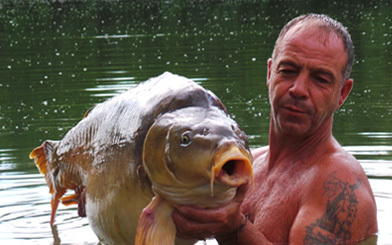 Myself and Andy wanted to set up home as well as creating one of the ultimate social fishing venues France would have to offer. After lots of searching we both felt we had found the right venue and was looking forward to getting creative… Then back in 2007 we were ready to start settling into our new home, very proud to announce the opening of Lac Desire.